When people ask me if they should consider a post-graduate degree, I almost always say yes. In many ways, my career success can be directly attributed to my masters degree from Georgetown’s Communications, Culture and Technology (CCT) program. It’s no coincidence that this February 28th’s xPotomac will be hosted at Georgetown University’s Copley Formal Lounge. My former program is sponsoring the event because it includes many new media and communications elements that their students are studying now. Even though I graduated in 2000, CCT taught me several core skillsets that I use today at work. In addition to a deeper understanding of communications, I also learned quite a bit about technology and how it impacts media. Further, I learned technology diffusion theory, which is how new tools are adopted by cultures and society. In fact, my masters thesis focused on global wireless Internet adoption. On a sociological level, we learned how technologies impact cultures and individuals alike. I remember one class where we studied dystopican science fiction literature and movies, and analyzed how they represent deep fears presentented by the technological future. Now the program has evolved quite a bit in 14 years as has technology itself. Today’s student should benefit from these evolutions. The CCT Program prepared me for what I write about, how I help companies and nonprofits succeed, and the career I’ve had to date. These results drive my enthusiastic response to friends and colleagues who are considering post-graduate education. If it’s a good program in someone’s field or area of interest, I don’t think they can go wrong. While the theories may seem esoteric, in my experience people will soon see how they impact their sector. In many ways, this ability to read market dynamics provides a great differentiator. I intuitively understand why things happen, and how to approach them. It saves time, and I think more strategically. A good professional masters program also offers a chevron for job opportunities. Before I went out on my own, Georgetown was mentioned in almost every interview I had by the potential employer. I never received that kind of attention for my Literature degree from American University. By the way, I know these things aren’t cheap. The eraning gap between a bachelor’s degree and amaster’s degree is not that great anymore. I paid for my own graduate degree, but I think it was worth it. Just some reasons why I encourage folks to go for more schooling if they are so inclined. What is your experience with graduate school? Did you avoid it, or do you want to go? 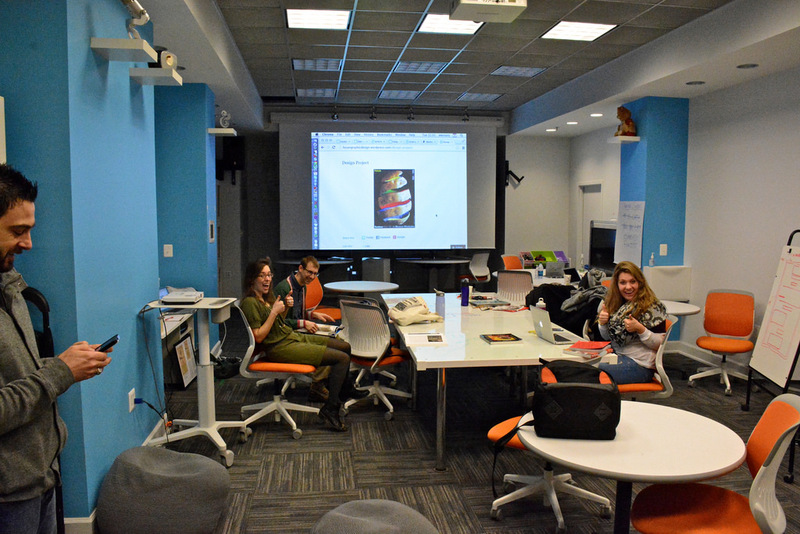 The featured image was taken yesterday at Georgetown University’s CCT Design Technology Studio.